One week after the 1967 ‘Six-Day’ war, a group of young kibbutzinks recorded intimate conversations with soldiers returning from the battlefield. CENSORED VOICES reveals these original recordings for the first time. The 1967 ‘Six-Day’ war ended with Israel’s decisive victory; conquering Jerusalem, Gaza, Sinai and the West Bank. It is a war portrayed, to this day, as a righteous undertaking – a radiant emblem of Jewish pride. One week after the war, a group of young kibbutzinks, led by renowned author Amos Oz and Editor Avraham Shapira, recorded intimate conversations with soldiers returning from the battlefield. The recording revealed an honest look at the moment Israel turned from David to Goliath. The Israeli army censored the recordings, allowing the kibbutzninks to publish only a fragment of the conversations. 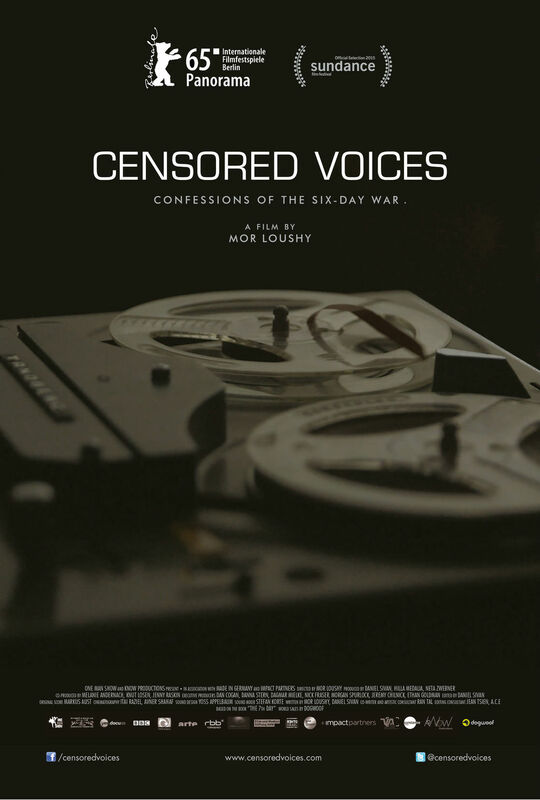 “Censored Voices” reveals the original recordings for the first time. Mor Loushy graduated from Sam Spiegel film and television school in 2007 and has been working as a freelancer ever since. Her début film, Israel Ltd, world premièred at IDFA 2009 (produced by: Yes, VPRO, Radio-Canada, Knowledge- Canada) and has been broadcast in 10 countries worldwide (Yleisradio OY, VRT, RTVS- Slovenia, RTS - Radio Télévision Suisse, Planete Poland).